What's the Secret in the Pascack Valley Real Estate Market? While other markets are floundering, we folks in the Pascack Valley of Bergen County are fortunate that Buyers have recognized that this is an exceptional place to live! Homes are indeed selling. I just listed and sold Russel Snow Drive in River Vale to a young couple, coming from a condo rental, who are now in their beautiful new home! Listed on September 18, 2008 at a price of $575,950, and sold on October 21, 2008 at a sale price of $560,000, purchased by an astute buyer who understands value. Remember, the only way you know that the Pascack Valley Real Estate Market has bottomed out is when you missed the bottom and it's on its way UP!!! Give me a call on my cell 201-615-5353, and I will show you where the Secret Values of the Pascack Valley are! I am most excited when I can help my buyers find that very special home and join the Pascack Valley Life Style, and when I can help my Sellers to accomplish their dreams and sell their home, either to move up or to downsize! I am always just a phone call away! 201-615-5353. Browse through my featured Pascack Valley Real Estate! Learn more about me from Real Estate Network Group! Want to know what Every Home in the Pascack Valley sold for in August of this year? What's Going On In Emerson? ($387,950) Lovely 3 bedroom Colonial with inviting front porch..beautiful hardwood floors in living room and dining room..living room has woodburning fireplace..spacious rooms, and open flow..updated kitchen with wood cabinetry..master bedroom with spacious closet..2 additional bedrooms (one without radiator)..spacious bath with beautifully tiled floor..Fantastic location on incredible street, around the corner from picturesque town center with upscale restaurants, boutiques, and nyc bus and rail..lovely and spacious rear yard with slate patio..finished basement with full bath (stall shower) and laundry room in addition to recreation room and storage..detached garage..long shared driveway..owner holds nj real estate license..
Browse through more of my feature Pascack Valley Real Estate! Read more of my Pascack Valley Real Estate blogs! "Another Home Sold by Susan Laskin the #1 Pascack Valley Realtor!" "Want to know what Every Home in the Pascack Valley sold for in August of this year?" "Learn About Home Inspections" "What's Going on in Emerson?" Another Home Sold by Susan Laskin the #1 Pascack Valley Realtor! Pascack Valley Real Estate - Sold by Susan! Hidden away on a sumptous 1.4 acres of picturesque and wonderful property, this beautiful Center Hall Colonial has been updated with loving care, yet boasts such luxuries as central a/c, skylight, kitchen with breakfast bar, and beautiful chestnut trim..The family room has a large brick fireplace, skylight, and large picture window overlooking the remarkable property..A circular driveway conveniently leads to the new and spacious 2 car garage..this property is over 300 feet deep, and over 170 feet wide..an exciting discovery for the astute buyer..close proximity to top rated schools and the express bus to manhattan..this is a find!! Click here for more information on this home! Browse through my Feature Pascack Valley Real Estate! Read some more of my Real Estate Blogs "Price Slashed - Amazing Value in River Vale" "Another Reason Why River Vale is a Great Place to Live!" "August Sold Home Reports are here!" "A Couple More Helpful Hints!" Want to know what Every Home in the Pascack Valley has sold for in August of this year? The August Sold Homes Report is here! 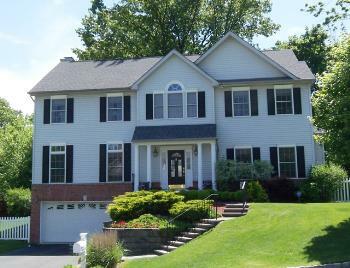 Visit my website, PascackValleySoldHomesReport.com, to view August's sold homes report. I've outlined information on all of the homes that have sold in the Pascack Valley during August including location, style, listing price, selling price, bedrooms, bathrooms & more! For up to date information on the Pascack Valley Real Estate market, visit my website SusanLaskinRealtor.com, or call me on my cell at 201-615-5353. 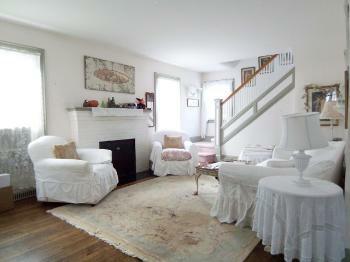 Browse through my Feature Pascack Valley Real Estate. Read more of my Real Estate Blogs including "Did You Miss My Pascack Valley Open Houses This Weekend?" "Another Sold Pascack Valley Home!" "Another Reason Why River Vale Is A Great Place To Live!" Another Reason Why River Vale is a Great Place to Live! Magic & Comedy! Fall 2008 Craft Programs! And of course wonderful books, dvds, and a plethora of information for children & adults alike! For more information, visit the River Vale Town Library Website. Read some of my other Real Estate blogs including "Another Pascack Valley Home Sold" "Real Estate Tips & Helpful information!" "Did You Miss My Open Houses This Weekend?" Here are a couple more tips from my Real Estate Library. I hope you find them useful! 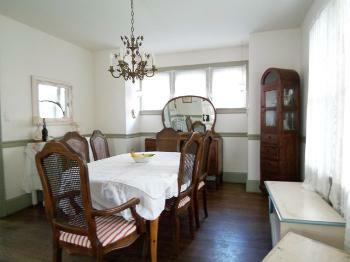 Is there history to your home? The history behind a given home can add a great deal to its value. Previous owners, designed by a notable architect, reputable construction company… read more! Diamonds in the Rough. There are many properties for sale that have incredible potential (great location, big rooms) but may not have been updated by the current owners. If you can look beyond the surface… read more! Read more of my blogs including "Have Real Estate Questions?" "Real Estate Tips & Helpful information!" "Hillsdale, New Jersey in a new light"
The town of Hillsdale has made the "Watercolor Vieiws of Hillsdale" available via the town website. The watercolor prints are by Gustav Rosenlof and can be viewed here! For more Hillsdale Real Estate & Local Town information click here! 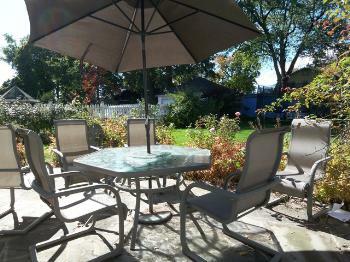 Want to see my featured Pascack Valley Real Estate? Browse through my feautured homes! Read more of my Real Estate Blogs "Have Real Estate Questions?" "Another Sold Pascack Valley Home!" "PascackValleySoldHomesReport.com" "Enjoy the Local Town Parks"
Have you visited my website PascackValleySoldHomesReport.com yet? Here I outline (in pdf. format) all the Pascack Valley Real Estate that has sold over roughly the last year! 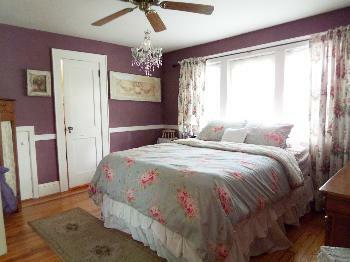 I include the location, type of house, number of rooms, bedrooms, bathrooms, the listing price, the selling price & more! Remember, a wise buyer or seller is an educated one! If you're thinking of buying or selling, or are looking for more information on the local Real Estate Market, visit my website SusanLaskinRealtor.com, or call me Susan Laskin on my cell at 201-615-5353. As the Pascack Valley's #1 Realtor of All Companies for 2007 & 2008 ytd, I'm happy to answer all of your questions! Looking for more information? 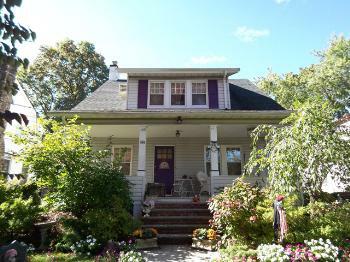 Read some of my other Pascack Valley Real Estate blogs "Another Sold Pascack Valley Home!" "River Vale News" "Another Pascack Valley Home Sold!" 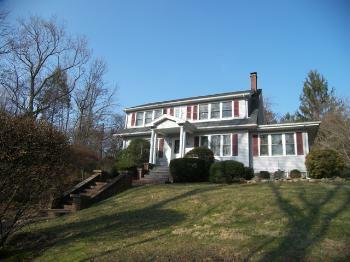 Another wonderful Pascack Valley home sold! Are you thinking of selling your home? Do you know how much your home is worth in today's market? Call me today for your free market analysis. 201-615-5353. Interested in seeing more Pascack Valley Real Estate? Cick here to browse through my featured homes! Learn more about me from Real Estate Network Group! Find out what EVERY HOME in the PASCACK VALLEY sold for over the past year! Enjoy this blog? Read some of my other blogs including "Have Real Estate Questions?" "Another Sold Pascack Valley Home!" "Enjoy the Local Town Parks!" Enjoy the Local Town Parks! There are a number of wonderful parks in the area available to Pascack Valley residents. One of my favorites, Wood Dale Park, which is found in Woodcliff Lake, encompasses an impressive 55 acres. Crafted in a circular shape with a magnificent lake in the center, the park offers tennis courts, a running or walking path, playgrounds and a dog park as well. Also found in Woodcliff Lake is a lovely Old Mill Park. Equipped with athletic fields, lighted tennis courts, playgrounds, and a public swimming area, this is undoubtedly a town favorite! For more information on Woodcliff Lake & Pascack Valley Real Estate, click here! Learn more about me from Real Estate Network Group!